Newcastle City Council has announced a consultation for new cycle lanes and other improvements to the Great North Road between Broadway and Brunton Lane, and is asking residents and visitors to provide comments on their proposals. Currently this is a busy dual carriageway with frequent buses and fast-moving traffic: it is hard for pedestrians to cross and is largely unsuited to all but the bravest of cyclists. It is also the single main route into Brunton Park, Melton Park and the other estates adjoining the Great North Road. The Council’s proposals address these issues with the addition of good quality cycle tracks, separate from the road and from the pavement, and with additional pedestrian crossings. On that basis we think it deserves our support. SPACE for Gosforth does not comment as a group on the Council’s plans so if you want these changes to happen, or to provide feedback, you must log on to the Commonplace website and share your view. Don’t forget to set the bar at the top saying whether you feel positively or negatively about the scheme. A few people from SPACE for Gosforth got together and came up with these more detailed thoughts. Feel free to add your own thoughts, questions and feedback as comments as well as on the Commonplace website. Make it possible for anyone to cycle along the Great North Road including families, children and less confident cyclists. Create a safe route to the six schools close to the Great North Road and to other schools nearby. Provide a quick route to cycle into Gosforth High Street and beyond. Brunton Lane to the top of the High Street should take less than 10 minutes’ cycling. Create a safer route for those living in Newcastle to access the countryside and leisure routes north of Newcastle. Provide an alternative to a car for those living in The Great Park and on the planned new housing developments near Wideopen, which will add several hundred more houses north of Newcastle. Help complete the Great North Cycleway, between Darlington and Blyth. Reduce the number of crashes and reduce the severity of any crashes that do happen. Reduce the speed of traffic in the approach to the Broadway roundabout. Two new and one improved pedestrian crossing will make it easier to cross the GNR and for those in Melton Park and the other estates on the east side to access shops and services in Brunton Park and the Great Park and vice versa. Raised tables should slow traffic at junctions where collisions are most likely. All this has been achieved with virtually no loss of road space for motor vehicles. We would also ask the Council to look at the following points. Including design features to encourage slower traffic speeds, for example tighter turns at junctions. Enforcement of the new speeds limits. Considering whether the north-bound section north of Polwarth Drive can have the continuation of separated space for people walking and cycling so the whole route is suitable for families and children. Please log on to the Commonplace website to confirm your support and/or provide any feedback. If you do not do this then your views will not be taken into account in the further development of this scheme. 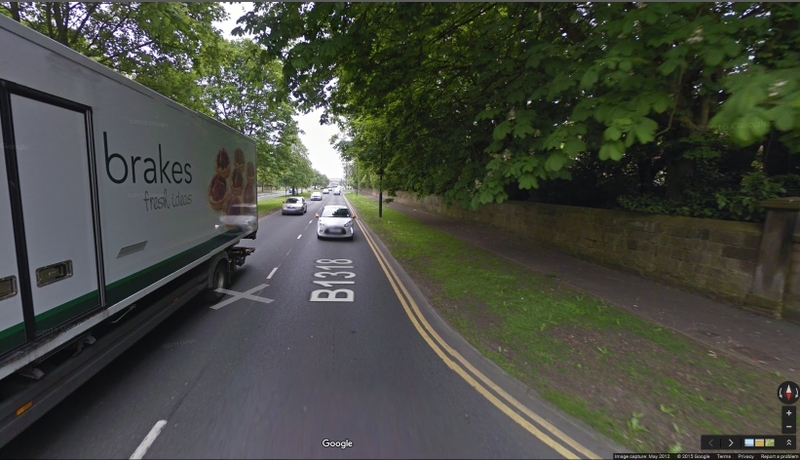 This entry was posted in Cycling, Residents Views, Safety, Walking and tagged Broadway, brunton lane, Brunton Park, council consultation, cycling, great north road, Melton Park, Parklands, The Great Park on December 4, 2015 by SPACE for Gosforth.